I am inclined to think that Panaracer is making the best bike tires on the market today. So much for objectivity, eh. Let me back this up with an important fact: in the last two years, I have ridden over 25 different pairs of tires. I am a tire fetishist. Well, I mean that figuratively. I am always searching for THE TIRE. Generally, my favorite do everything tire is the Panaracer Pasela PT. It’s a great compromise between puncture resistance and rolling resistance. On a wide rim, they’ll even fill out to the listed width. If I have one complaint about the Pasela, it has a tendency to plow in soft surfaces. The Gravel King, with it’s squared tread section looked like it might be the Holy Grail: good ride, light weight, and a cross-section that reduces plowing in soft surfaces. The tires mounted easily on my standard gravel wheelset, Velocity Aileron rims laced to an SP Dynamo hub front, and a Formula hub rear, and presented themselves as nicely square, and slightly over-wide at 33 mm at 60 psi. A quick spin on pavement confirmed that they ride nice, and thrum as you would expect from a tread pattern that has more in common with textile design than what you would normally consider tire technology. 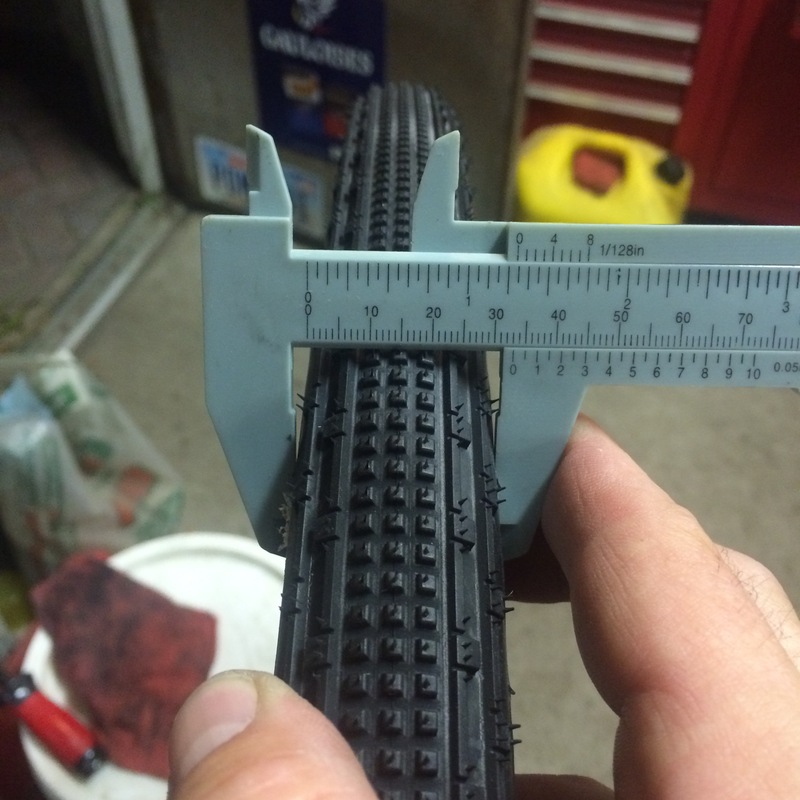 With that, I decided to use these tires during my run at the State Games of America Cycling – Gravel Grinder event. So, how did that turn out? Let me just say that in use, they ride quite well. Before a broken saddle forced my riding partner, and myself out of the race, they handled 55 miles of gravel and minimum maintenance road pretty well. However the amount of dirt, dust and gravel that they send skyward is a serious problem for myself, and riders with me. 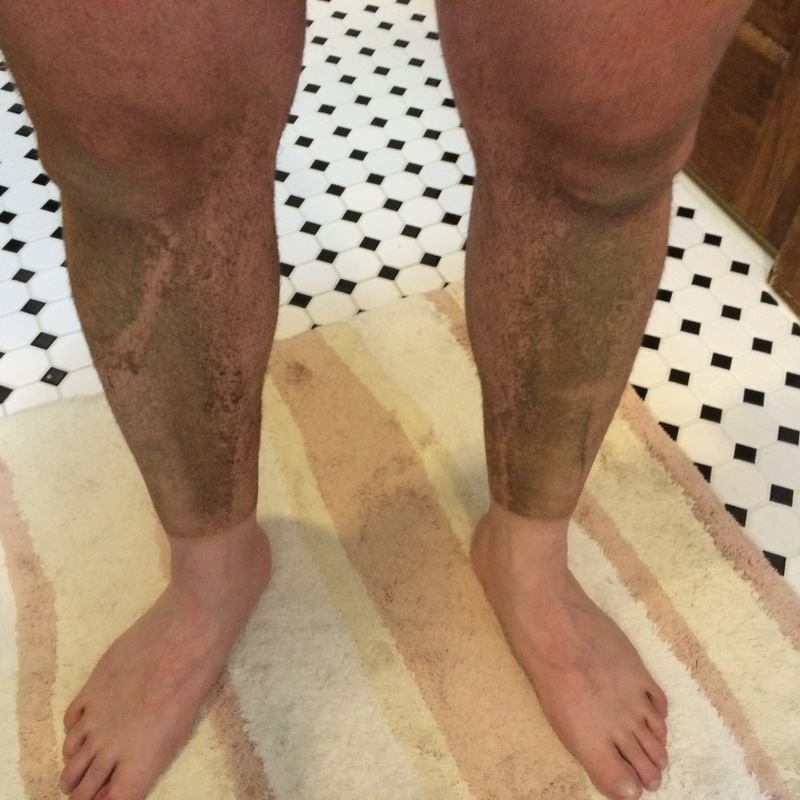 The dirty legs are from a dry day. I was covered in a crust of sunscreen and grit, my bottles were covered in dirt, so badly that I couldn’t drink from them without wiping them on my clothing first, and anyone on my wheel was showered from a rooster tail of road surface. In total, I put about 100 miles on these tires, both on a wet’ish day, and a dry one. They are some of the messiest tires I have ever used.